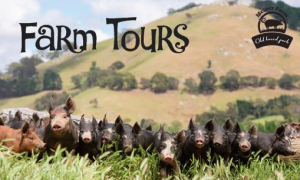 The Hagan’s would like to invite you to join them this spring on a tour of McIvor Farm where you can enjoy all things pigs and pork. 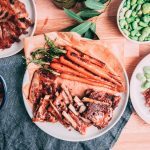 You can select a morning or lunch tour of the farm and then back to Merindoc Cellar Door for Morning tea or Lunch, which will consist of a delicious selection of McIvor Farm small goods and pork, then onto wine tasting should you wish. Whilst eating you can enjoy the beautiful setting of Merindoc Cellar door, which is our neighboring winey just across the road from the farm. Ticket to include, transportation from Merindoc Cellar Door to and around the farm, 1.5hr tour of McIvor Farm, Food as per your selection, a tea/coffee and 10% off of Merindoc Cellar Door Wines. Tickets are limited – so bookings are essential.